Student Editorial Board Kelly B. Abigail M. Cindy F. Brenda P. Tâ&#x20AC;&#x2122;Kai L. Katerine C.B. 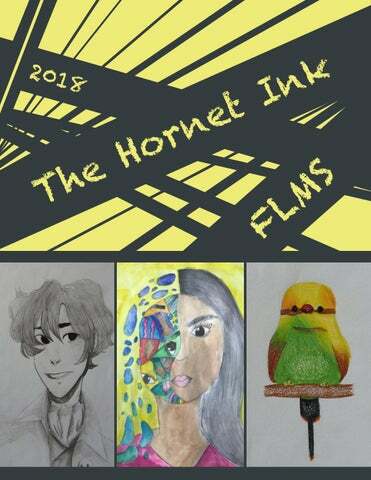 Briana A.
Kennesha L. Esther A. Shaelyn G. Amirah H. Donovan G. Adrian M. Noe H.
With special thanks to Fred Lynn's Art Department and staff who helped promote The Hornet Ink in their classrooms. ised to anyone ladies and gentlemen. It doesn't matter how propitious you may be, your tomorrow is not guaranteed. However, that's not what matters. What matters, is what you do leading up to that tomorrow. Even, if it's not your own. to me?" But then, the good Samaritan came by and reversed the question: "If I do not stop to help this man, what will happen to him?" As I read this, it called to mind one of my most treasured memories. Allow me to set the scene; a tiny village, in the small country of Bangladesh. A few stores littered the street, across from an array of tin and clay houses. I'd often run to them when in need of a snack. This particular incident, was one of those times. rushed to the nearest store. My mouth watered with thoughts of delicious sweets or other goodies I could have, but suddenly my thoughts were cut off by a startling shout. "Why won't you just leave?" the shopkeeper's voice boomed. rather old and practically skin and bones. She wore dirty and ragged clothes. How did someone like her, someone on the verge of tears, infuriate others so much? What had she done? Then, I heard her begin to speak. "I'm not asking for much," she said, her voice small. "Just for a little bit of money, or a little bit of food." who suffered. I was ignorant, until I witnessed it. Being a child, I didn't have much to give, not to woman on the verge of tears. Taking the little money I had, I bought two bags of chips. I turned to the lady, and handed her what amount I had left, along with one of the two bags. Some money and some food. What I got in return, was a genuinely grateful smile, a smile that made me smile. With a small but powerful "thank you," she left. helping me learn to write in Bangla. All to, "repay her debt" as she said. I wasn't aware at the time, but the universality of Dr. King's appreciation for humanity struck me even then. People are struggling all over the world, not just in America or Bangladesh, and not all the struggles are as extreme as poverty or hunger. something to make somebody's today, and hopefully their tomorrow. And I promise, if you do something nice, the recipient will do so as well. morrow, I will just do. Do what I can to help both myself and others. To make the world just a little bit kinder. Are You a Risk-Taker? Cindy R. 8th Grade Are you someone that takes risks or are you someone that tries to play it safe? Taking risks can benefit your life in so many ways. It can also make your life more fun and adventurous. When you take risks there's always a chance something can go wrong, but it might be worth it in the end. I believe that taking risks is better than remaining cautious and having a dull life. Learning from your mistakes is one of the best things you can get from taking a risk. From making a mistake, you can come closer to finding out who you really are. You realize your limits and what you are and are not capable of doing. If you play it safe, you will have regrets of things you didn’t do when you were young. As you make mistakes, you learn and grow as a person. If you stay cautious, you'll have no mistakes to learn from and you will never grow and learn. If you think about it, mistakes are just life lessons learned the hard way. Taking a risk could possibly change your life. For example, some people have talents like singing, dancing, acting, and other cool abilities but never take or go for risky opportunities to show off that gift. Who knows, maybe the risk you take could lead you to success. If you do start taking risks like that, it could make you more confident. Just get out of your comfort zone for once and see what happen. You never know what can happen; the possibilities are endless. Don’t think about what can go wrong or right; just do it. Everything happens for a reason. Don’t be afraid of taking a risk every now and then. Maybe it could change your life. When taking a risk, you can have so many fun experiences. I don’t know about you, but I wouldn’t want to have a dull life. The more fun experiences you have, the more stories you'll be able to tell in the future. I doubt you would want to look back on life and realize how boring it was. Think about all the fun you'll have, and then for the next days, weeks, or maybe years you're going to look back and remember all those fun experiences. Even if something bad happens, it will all be worth it at the end, and you will probably get something good out of it. At the end of the day you choose how to live your life, risky or cautious. I chose to live life risky because of the benefits from it. The benefits from taking a risk are you get to learn from your mistakes, it could possibly change your life in a good way, and you're going to have fun experiences. While you're taking risks, try to be as safe as you can. You can still have as much fun as you want, but just be safe while doing so. Live life to the fullest, have as much fun as you can, and take risks. You will not regret it. I Am... 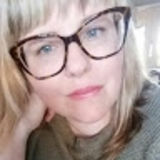 I am ambitious, genuine, and nerdy. I wonder if aliens exist in our universe. I hear ocean waves splashing. I see the stars up in the sky talking to each other. I want to be 5'5." I am ambisious, genuine, and nerdy. I Am... I am skilled and athletic. I wonder what my future awaits for me. I hear a stadium of fans. I see a soccer stadium. I want to win everything. I am skilled and atheltic. I pretend I'm playing on the big screen. I feel adrenaline rushing through my veins. I touch the field's grass. I worry that my dreams won't come true. I cry when I don't do my best. I am skilled and athletic. I understand the chances of my dream coming true. I say soccor is a way of life. I dream of becoming a professional. I try being the best. I hope my dreams come true. I am skilled and athletic. family that I haven't seen since my childhood. things I would take with me. In El Salvador it's hot, but it also depends what season you decide to visit and where in the country you are. Usually, the places where it's grassier are cooler, and we call those places "el monte." The beach areas are usually warmer/hot. Overall, the whole country is a hot place. for the warm weather, like shorts, short sleeved shirts, some shoes, and possibly some sandals or flip flops and some type of swimwear. I would also pack my charger, headphones, and other necessities to get ready in the morning and at night like a toothbrush, hair ties, towels, etc. including my mom, dad, and older brother. My aunts, uncles, and my older cousins were also born in El Salvador. Based on the pictures and videos I've seen of the country, it looks very pretty and I think it will be even better in person. My dad brings up about how he would go out to the ocean on a small boat and go fishing. My mom sometimes talks about how my abuela (which is Spanish for grandma) sells fish for a living. ever place I'm staying at, possibly a hotel or a family memberâ&#x20AC;&#x2122;s house. Afterwards, I would visit and greet all my family that is in El Salvador and spend some time with them because there are people that I haven't seen in years or I still haven't met. Then we would go around and explore some more. Finally, I would visit the cemetery to visit my grandpa and my "siblings" that passed away (two of my mom's babies died as newborns). visit is El Salvador. El Salvador has a lot of cultural, natural, and peaceful places where you can go and get in touch with nature and gentle and friendly people. What is mostly popular about El Salvador is the delicious food. This and many reasons are why I want to visit El Salvador. sisters, my mom, my friends, the nature, the people in my colony, and especially the house where I grew up, because these will bring me many happy memories. That is a house that you can call a home. would be to see my sisters, my grandparents, and my mom. After that, we would go to one of my favorites places: the beach! We would swim and play in the sand. When lunch time would come, we would buy food like mariscadas, pescados fritos , and my favorite plate, pupusas. Yummi! When the afternoon arrives, we would go to pick up shells and see the sun go down. At night, it's time to go back home. My sisters and I would sit in the back of the truck singing, listening to the waves, or we would talk about how life has been over these four years that we haven't seen each other. day. I sure hope to go back and spend a good time with my family. I would like to have more adventures and moments with them that would stay in my life as happy memories. intelligent and receptive to the world. they're left home alone. Some dogs could even get scared. They can destroy your property due to their boredom. To prevent them from getting ahold of your clothes or property, make sure to clean the area they will be. Dogs see anything as either food or toys. Make sure to close the doors of bathrooms and bedrooms. years ago, whilst gears were made in the sixteenth century. For the last fifty thousand years, archery was the primary long-ranged weapon used in hunting and combat, until firearms, first used with gunpowder in China was brought by Marco Polo to Europe in 1540. Technology became more powerful gradually as people kept experimenting and found new ways of doing things. Transportation in daily life has also changed how we work and live. and cities arose. In 1969, humans even set foot on the moon using rockets. the time they're making themselves comfortable. They could just think they are playing. before heading out is to check for any food left out. Your dog could get sick. If your dog sees any sustenance they will get to it. Making sure there aren't any edible substances out could save you from a major vet bill. used to go to the grocery to get ingredients and make the foods themselves, but now they buy packaged and processed foods that don't need to be cooked for long. that we have a clean and safe environment. once it gets older. Don’t make it a huge dilemma. land pollution, and they're each killing the world. the time, people older than you are the ones with the most experience. most of us. As many of them say. "We have lived through it all." for their life. They help them make the right decision or choice. so there would be fewer oil spills. about everything. You can find a job and make money. just walking the four blocks. suffocating a small duck, pollution is horrible. Land pollution makes the earth very dirty. tions get very personal, but between those conversations, wisdom is roaming around there somewhere. dangered species, both for their sake and for the sake of our own future generation,'' said former U.S Attorney General Lorreta Lynch. One species being the jaguar. The population of jaguars are dwindling due to habitat loss and poachers hunting them. How can the jaguar population be recovered? pelts and fur. Poachers hunt down jaguars to use their pelts as trophies. Also, poaching hasn't been banned in most countries. Fur from jaguars is valuable and is turned into coats to be worn. languishing population. An example is deforestation caused by making space for cattle ranchers. Smog from air pollution covers the tall grass and leaves jaguars vulnerable and leads them to starve. Humans and habitat destruction are major causes for endangerment. ing a rainforest. Donating money to save parts or an entire rainforest can help restore their population. This will help further deforestation from happening. Banning the import and export of fur and pelts can also restore the population. Setting up donations and banning fur and trades can help save jaguars. tions and creating laws to ban fur and pelt trades can help protect the jaguar population. Hopefully their population can be restored for future generations to come. your home destroyed. Well that's exactly what the polar bears are experiencing right now. Polar bears have recently become endangered because their icy habitats are melting down. This is due to air pollution and climate change. There's a big problem here; polar bears are slowly becoming extinct. One way to help save them is to reduce climate change. By doing this, the weather will stay cold in the arctic circle, helping to restore the ice. Some things we can do to help right now is to reduce our amount of waste. This means to only throw away the things that absolutely need to be thrown away and recycle or find other uses for the rest. Another way to reduce climate change is to commute differently. Examples may be to carpool or to use public transportation, and if you do use your car, use biodiesel. Using biodiesel instead of regular gasoline reduces greenhouse gas emissions from being released into the environment, and it's all around better for the environment. air pollution. Reducing air pollution will help prevent poisonous gases from spreading into the arctic, killing polar bears. We don't want that. First off, we should switch all our appliances over to energy efficient appliances to reduce the amount of pollution we produce. Second, we should only run or washers/ dishwashers when they are full to save water. And last, we should avoid the revving of engines in our cars to reduce the amount of gas we release from our cars; also, it's very disruptive when people rev their engines. everyday lives. What we think is a normal thing to do kills living things. The polar bears are in danger and we need to help them. I hope that we can all change our ways to help save lives of millions of polar bears who are trying to live their lives. Let's make a change! portant. For one, I've learned from someone's wisdom and experiences, and that’s my Papa Dave. I've learned a lot by just listening, and you can too, . It can change your whole outlook on your life and the way you do things. shared his experience of owning his own business. He said the opportunity came when his dad called and said that he is closing the business and he had set out what he wanted to do. He asked my Papa Dave if he want to take on the job of owning the business. His dad told him it could be '' BIG MONEY.” So, he took the opportunity at its best, and my Papa Dave has owned his business for 38 years. Now that’s a long time! each story someone shares with you.'' I think that is pretty smart if you ask me. I feel grateful that my Papa Dave took the time out his day to talk to me about some of his life. I’ve learned that there are never downfalls in your life; there are just experiences, and I learned all of that by just listening, a super easy thing to do. It was also kind of fun and interesting to learn something new. life to help you become a better person. So, why don’t you try it for a change? You never know what you could learn. schedule, so you can have a little me time later. new things with their very first job. wake up early one Saturday morning and you must do some chores. stuck working hard at a low paying job just to make a living. disturb you a lot in the house so that you can't get anything done. With money there does come great responsibility. Budgeting time for school helps us have time for ourselves. Lastly, budgeting time so we are healthy is very important. Having a sleep schedule to get enough sleep keeps you healthy. you can do is to help them out in any way. things you do not want to think about, reduces stress and helps if you are depressed. Ultimately, budgeting time gives you a stress-free life. School work are done early to budget time, home responsibility has less impact on you and improves your health. Therefore, budgeting time can help you save a lot of time. I Am Hungry for Bread & Longing for Toast I am hungry for bread & longing for toast. I wonder what makes bread so beautiful. I hear a loud ding from my toaster, calling my name. I see a beautiful, crisp piece of toast. I want the void in my stomach to be filled with bread. I am hungry for bread & longing for toast. I pretend that I can live without bread, but I feel that bread is my only savior. I touch the warm, toasty, rough surface of my toast. I worry that one day my supply of bread will run out. I cry whenever my beautiful, delicious masterpiece is burned. I am hungry for bread & longing for toast. I understand I can't eat all the bread I want. I say that all breads & toast are equal in my heart. I dream of being in a land full of beautiful slices around me. I hope one day my dream of a perfect, bread-filled world will come true. I am hungry for bread & longing for toast. ~Anthony V.
6th Grade Haiku Ronaldo is good. He is my favorite player. Real Madrid is good. ~ Herberth A.
I like fried chicken. I like to eat pineapples. School lunch is not good. Friends are your heroes. Friendship is so amazing. True friends have your back. ~ Jessica M.
Basketball has fame. Basketball is the best sport. Basketball is fun. Friends are amazing! They make you laugh every day. They are like sisters. Tacos are juicy. Tacos are good for you. My tacos are gone. Soccer is the best. The sport I like is soccer. It is exercise. School lunch is yummy. I love to eat school lunch. I really love school lunch. I love the hot days. Hollywood Hills is nice. I was born right here. It is fun to play. Michael Jordan is the best. They shoot three pointers. It is amazing. Sports are fun and cool to play. You will enjoy it. The star is so bright It is bright like a diamond. It is beautiful. 7th Grade Flags Japan Angelina A. Uganda Yauncie A. Syria Abigail M.